Colm Cuffe has been illustrating cartoons since he was a young boy, but never saw it as more than a hobby. This all changed when he found himself invited to a table-reading for an episode of The Simpsons in 2016. While there, Colm met with Matt Groening, and showed The Simpsons creator some of his work. Groening told him that he had a confident style, and encouraged him to start publishing his work online. This was the pivotal moment in Cuffe’s career. He returned to Ireland and threw himself into illustrating his comic strip When’s it Hometime? The comics are a wonderful semi-autobiographical account of Cuffe’s observations and experiences of his work as a teacher. He began publishing his work on Facebook in September 2016 and within months his following exploded into the thousands as people were crying out for more of his weekly comics. This culminated in a book deal with Gill Books in 2017 for his new book A Teacher’s Life. Having already amassed fans from all corners of the globe, Colm is delighted to now bring his work from screen to bookshelf. 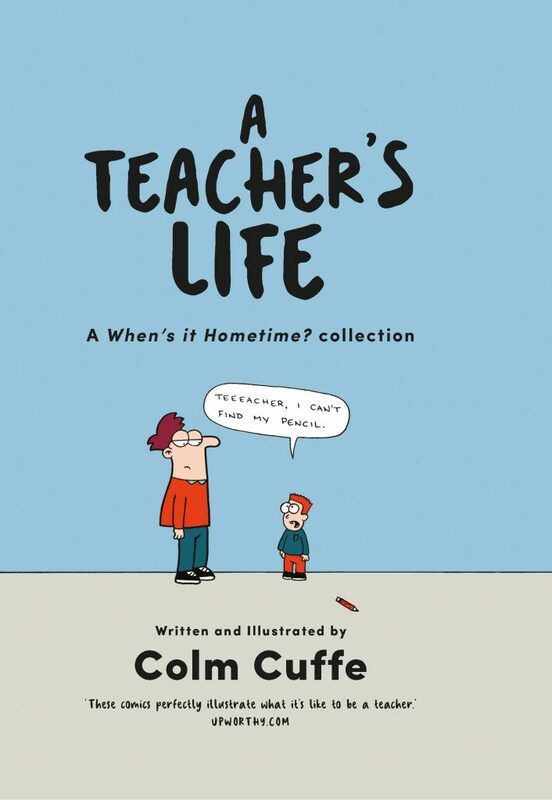 A Teacher’s Life is a hilarious collection of over 140 cartoons based on Colm’s popular ‘When’s it Hometime?’ Facebook page. It perfectly captures the ups and downs of life as a teacher. Filled with funny observations of classroom antics, this book will have you smiling in sympathy and laughing out loud. It’s the perfect ‘thank you’ present for every teacher you know.